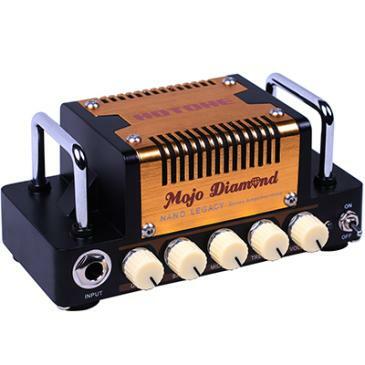 Mojo Diamond is a micro guitar amp head that calls on one of the most revered ranges in guitar amp history. It was inspired by the Fender Tweed* era and it captures the characteristics of the legendary Fender Tweed amps at low volume. 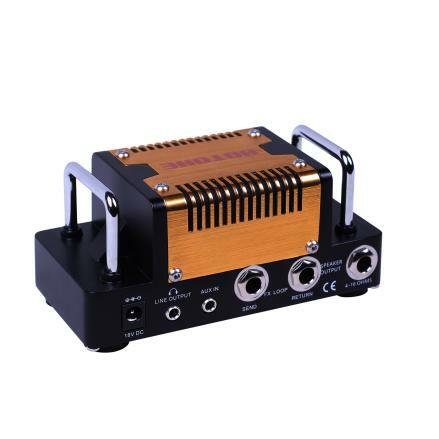 The Mojo is a 5W Class AB guitar amplifier head which, at a mere 440grams, is absolutely packed with useful features. It has a three band EQ so you can shape your tone by pulling bass, mids and treble up or down. It also features volume and gain controls enabling you to explore a range of sounds from crystal clarity to warm overdrive. Mojo's headphone output makes it a great for practicing and an FX loop means that you can route external effects though your amp. You can also input an external signal, for example an MP3 player, so you can play above backing tracks or use Mojo for music playback. * Fender Tweed is an amplifier model of Fender Musical Instruments Corporation. The mentioned manufacturer and product names are trademarks or registered trademarks of the respective owners. The trademarks were used merely to identify the sound character of this product.